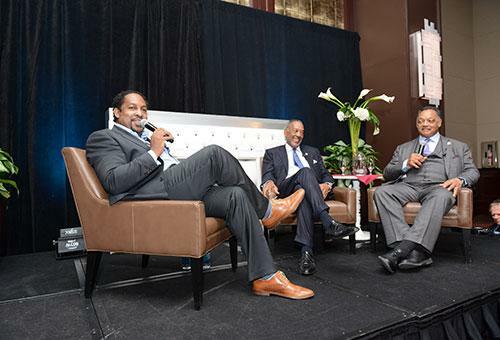 Navarrow Wright (l) conducts "Fireside Chat" with Microsoft Chairman John W. Thompson and Reverend Jesse L. Jackson during WSP Gala. 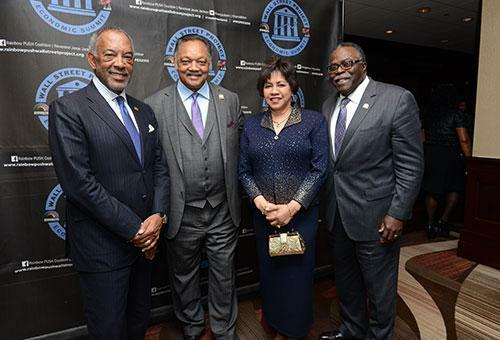 Microsoft Chairman John W. Thompson (l), Reverend Jesse L. Jackson and two guests. 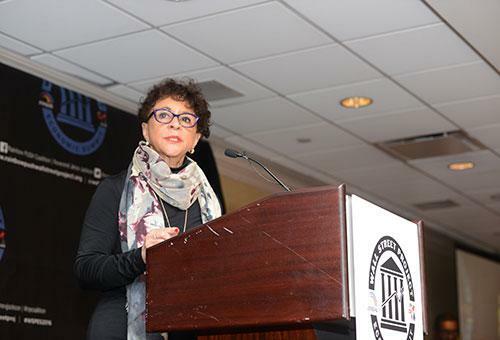 Sheila C. Johnson, President and CEO, Salamander Resorts & Hotels, delivering keynote speech at the WSP Summit. 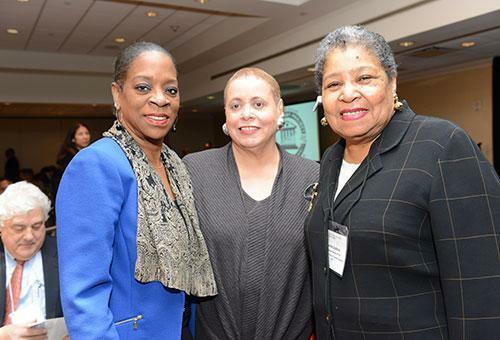 She also was presented an award during the conference. 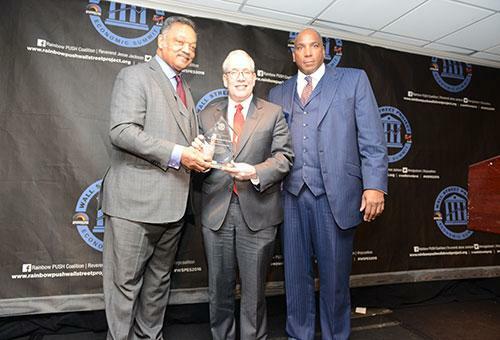 Comptroller Scott Stringer (center) receives award with Jesse Jackson (l) and Earl Graves, Jr. 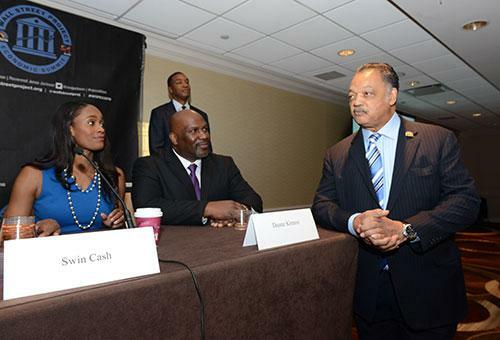 The 19th annual Wall Street Project Economic Summit, organized by Reverend Jesse Jackson?s Rainbow PUSH Coalition, brought together thousands of industry leaders who explored issues vital to economic progress in African American communities. 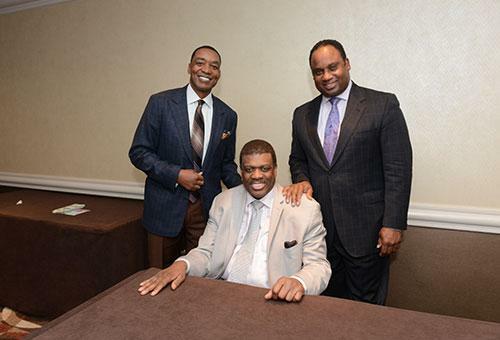 The summit took place February 16 through February 18 at the Sheraton Times Square in NYC. 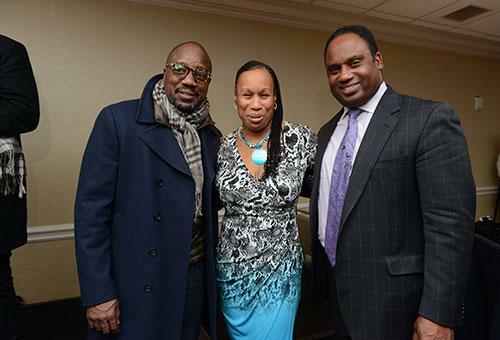 TNJ Senior Editor Sergie Willoughby covered the event and TNJ Executive Editor Rosalind McLymont served on the International Investment Forum: Global Economics Expansion Opportunities panel.